In an effort to avoid set-up and duplication of administrative costs, Broadway Cares/Equity Fights AIDS has fostered and offered a home to an extraordinary collection of initiatives within the theatre community. These organizations have united the Broadway community making it a collective and powerful engine for social change and doing good. From empowering students and fighting for equal rights for the LGBT community to bringing the power of the arts to underserved children and families, these programs work to make a difference every day. By supporting these service programs, Broadway Cares is able to more deeply connect new audiences to the important work of helping those living with HIV/AIDS. Artists Striving to End Poverty was conceived by Broadway musical director Mary-Mitchell Campbell and Juilliard students to transform the lives of youth using the most powerful tool they had—their art. 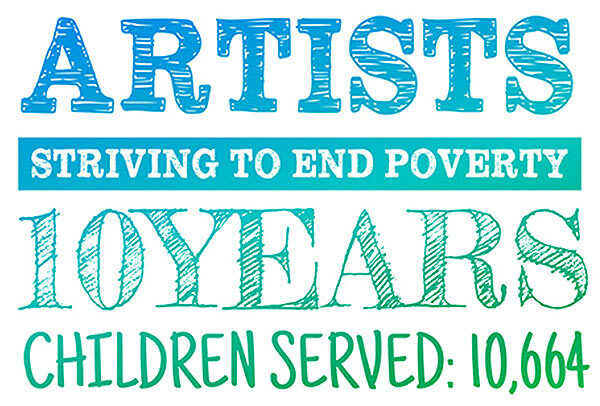 Today, ASTEP connects performing and visual artists with underserved youth in the U.S. and around the world to awaken their imaginations, foster critical thinking and help them break the cycle of poverty. The Broadway Green Alliance is an industry-wide initiative that educates, motivates and inspires the entire theatre community and its patrons to implement environmentally friendlier practices. The BGA is an ad hoc committee of the Broadway League and a fiscal program of Broadway Cares/Equity Fights AIDS. The Broadway Green Alliance identifies and disseminates better practices for theatre professionals and reaches out to theatre fans throughout the country. Broadway Serves is comprised of members of the Broadway community who are looking to “be the change we want to see in the world.” The organization’s mission is to provide a forum for open discourse on issues that affect us all and to provide opportunities for community service in the United States and across the world to Broadway and theatre professionals. R.Evolución Latina utilizes the arts through educational and collaborative programming to empower the Latino community to discover their full potential. The organization bases its activity on the philosophy of The Circle Effect: a self-sustaining cycle whereby individuals experience inspiring growth and in the process, discover their ability to inspire others.